So here I was, right before Kol Nidrei, saying Al Cheit, like a good Lubavitcher should, and a guy walks by and sends me a message. "Say Al Cheit for all the stuff you wrote on the blog, Hirshel," he says. That was enough for me. I had no need for any more introspection. The sins jumped out off the pages. Every Al Cheit became relevant and personal. The tears flowed all day. The guilty Hungarian feelings never stop as it is, עאכו"כ on Achas BaShonoh. [But the truth is that even on YK, even in shul during the break, and on the way from shul after Kol Nidrei etc., You never grow tired of good discussions with learned people, and very often you may cross the line into LH territory.] Nu, noch aza Yom Kippur ken men zich nisht nemmen tzum shrayben azoi shnell... The guilty feelings, the pre-Yom Tov rush, they all add up. Then there was the passing of the Lelover Rebbe, Reb Shimele, zt"l, a loss for all of Israel, despite the fact that he ran from Koved all his life, and was not part of the Daas Teyreh brigade. It was nice to see the respect shown to him at least after his passing. So here I am trying to see only good things, be positive, you know? and G-d throws me a curve. I look out the window and I see a beautiful 2 Million + plus home rising high above the rest. 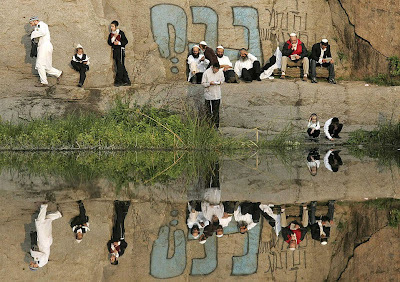 The inhabitants are G-d fearing Jews, and are supporters of Torah institutions, at least his face is in the paper alot. On the porch of this magnificent home sits a Sukkah - with this being the season, and all. You would think these fine Jews would get a sturdy Sukkah, one that would maybe match the color of the brick facade, or maybe one of those fancy Fiberglass ones, the ones that snap together quickly. But no! Mr. Frugal here with the two million dollar home and the home in the country and the vacations etc. goes out and gets himself a canvas special, like a shnorrer who counts every penny would do if he finds himself without a Sukkah and can't borrow one. My goodness! How can a guy like that face himself in the mirror when shaving every morning and be happy with that kind of expenditure?! Or what does he think his guests and neighbors are thinking when they see/visit his Sukkah? The above video shows a pogrom in Lemberg/Lvov, Ukraine in the summer of '41. The film has been sanitized, some of the more grotesque parts have been removed. It's part of a clip recently released by Reb Steven Spielberg and his film archive, and in the frum community it caused lots of ripples, shocks, waves - you name it. People are shocked to see what they believe to be the "Kedushas Tzion," Reb BenZion Halberstam of Bobov, HY"D, who was killed in Janower Forest in Lemberg on the 4th of Av, 1941. Like many of you, seeing frum Jews being harassed or herded together into cattle cars or lined up to be executed hits especially home for me, much like it would be in any tragedy. We tend to identify more with our frum brethren more than we do with our irreligious ones. 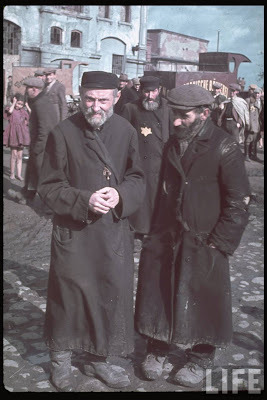 But this here - if it is the Rebbe - is something terribly tragic, much more than any picture, even the ones of the Hungarian Rebbes and Rabbonim we showed here previously, as they waited on the ramp to Auschwitz. At least those showed no beatings or violence against them. What can one say when he sees such unspeakable acts being carried out against such righteous Jews, one who took a real initiative and proactively traveled around Poland and Galicia establishing Yeshivos and saving Jewish neshomos from the temptations of the day? He can sit and cry, and he ask Hashem to end all of this already. There is debate as to whether or not it IS actually RBZH, but if not him then it's still a Yid, a Baal Tzureh, a kadosh who died only because he was Jewish, and especially because he carried the tzelem elokim with him, despite the extra difficulties it posed. Some of you may find it distasteful or worse, and you may condemn me posting it here, but I think it does provide a very important purpose for those of us alive today. It teaches to mourn for the lost souls and to remember what they accomplished. Maybe I'd feel differently about this if I was a Bobover Chossid, but I haven't seen any outcries from the Bobovers on the WWW, despite maybe the khisoren being them. Maybe we can shed an extra tear this YK, and maybe, just maybe, this will tip the scale in our favor this year. 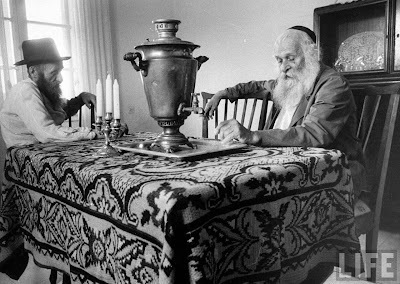 There's a story they tell about the Chuv, the Brisker Chuv, whose 50th Yohrtzeit is to be commemorated this Yom Kippur. The Rov went for this daily walk on EYK and on this walk began to "bash" (for lack of a better term) a certain Jewish politician/askan. His attendant was surprised to hear these words from the Chuv on such an auspicious day, and asked him if it wouldn't be better if they postpone this conversation until G-d has sealed the book of life. The Rov was quite surprised to hear this young man's question and had a very simple answer: I'm saying this because I believe that this man needs to be attacked verbally, and I believe so because I believe this is what Torah demands of me, so why should I not do what the Torah tells me to do davka on this day?! The comparison may seem far fetched, because in the BR's case he said he was doing what Hashem wanted, and in the women's case what they wear on their heads is not exactly a mitzvah, at least not a positive one. But still he saw no need to show Hashem that he was being extra careful, because G-d - in his opinion - didn't need this "good deed" from him, he was good without it, and the BR would have a good year without it. In the meantime I wish you all a Gmar Tov Chasimah Tovah and a Gut Gebentched Yohr. And may our women's tefillos be accepted, tichel, sheitel, or both. "So, when did you finish?" Try as hard as you can, you still can't avoid having the conversation at least once over the High Holy Days, despite the point being childish and all. When your shul finishes Mussaf on R"H tells people a lot about you. If you finish early you obviously don't care enough about the day. You didn't daven a long enough Shmone Esrei, didn't say enough Piyutim, didn't take very long to say to say LaMnatzeyach, and so on. You probably go home, eat too much, talk too much Loshon HoRah, and maybe do a few grubbe aveiros. You may have woken before dawn and davened Netz, and you may have fasted until Kiddush after Mussaf, but it's not the same. You may have stood on your feet all day, but it's still not the real thing. In short, you didn't have the "true" RH experience, unless you came home from shul when all others were going back to Mincha. You may have had a four course kiddush after shacharis, and maybe even a nap, but you win, because you were seen with your tallis at 6pm. Somehow Rosh Hashonoh also became like Yom Kippur, where all day is spent in shul. It used to be that when I was a kid there was Bobov. They were the only ones that stayed so late in shul on RH. Word on the street was that the Bobover Roov, Reb Shlomo z"l, said that "er ken zayn oylem," and that he'd best keep them in shul, otherwise who knows what they'll do once they get home and have some free time... I'm sure that made his people very happy, knowing what he thought of them... All other shuls finished at 2, 2:30, 3:00, Four o'clock was already "ibber di moss," way overboard. Most people had time to go home and have a normal seudas yom tov, and maybe even go to Tashlich, if you lived close enough to the water. If not you went back to shul and had plenty of time to say tehillim, maybe even the whole sefer. I don't know, maybe that was just Golus America, and in reality it was always that way in di alte heim. IIRC that's the way it was in Munkacs with the Minchas Elozor at the helm, and maybe in Galicia some of the Sanzer Eyniklach also led all-day services. I doubt that was the order in Poland, even in non-Gerrer circles, since they said little Yotzer there. "Why does it bother you, Hirshel," is the obvious question. It doesn't. In no way do I feel like I don't have the RH experience, especially since I'm a SHaTZ on the high holy days. I'm just trying to understand the thinking, especially regarding those that only recently picked up on this, meaning that it was never their custom to keep people in shul all day. Take the Belzer, for instance. The last few years have seen the development of a new, bizarre minhag in Belz-Yerushalayim, where they finish mincha - which immediately follows mussaf - after Shkiah and even after Tzeis haKochavim DeRabbeinu Tam. This was - I believe - NEVER the case in Belz, but they want it all, including outdoing all other Hoyfen, so they do it. Nobody is happy in their own skins anymore, they look to make sure that they're on par with everybody else. That would be fine in important matters like education and Tzedokoh, but why the need to do it when it comes to times of finishing davening?! G-d bless the Gerrers when it comes to this; they do their thing and could care less what anybody thinks of their schedule. It's called taking pride in what you do and have done forever. Some of the others out there could take a page from their playbook. A story we brought a while back reprinted now, where it belongs. Also featured on chabad.org! 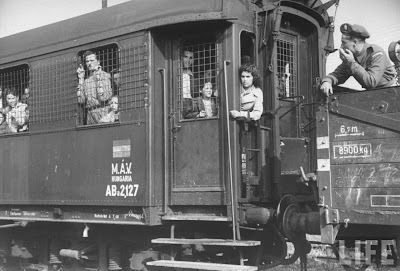 We talked about the Polish and Hungarian/Romanian, and how they did or didn't pass on what happened to them during the Holocaust, resulting in their descendants often having no knowledge of the matter. I promised those who disprove me that I'd bake them an Hungarian kugel, and so far I got two requests - rather, two people telling me that I owe them one. One of them tells me in a private e-mail that his zeide - a very, very proud Socialist - spent 5+ years under occupation and in prison and concentration camps, and it was his steadfast belief, in SOCIALISM/COMMUNISM, that carried him through. Among other things he was a human mine detector for one of the armies. It may have been for the Soviets, I don't remember now. Not what one expects to hear, that a non-Torah ideal can keep you strong, but whatever. That zeide did tell his grandkids, maybe because he saw himself as some kind of hero, or he believed in a strong Jewish identity. So we need to discuss the Russian Jew, frum Jew, and see what his descendants know, and if they don't, why that's the case. Me not being of Russian descent, despite my e-mail address, I'll do the best I can under the circumstances, and base it on what I've seen, read and heard from people. When the Nazis stormed the Soviet Union on June 22, 1941 hundreds of thousands of our brethren were stuck. Before they realized what was happening they were trapped under the Nazi jackboot and were basically resigned to their collective fates. The areas that were immediately occupied were Lithuania, "Litvish Peylen," Western Belarus, and the Western Ukraine. Those living further East or North had time to make plans to get out of Dodge. Most headed to East to the Asiatic Republics. 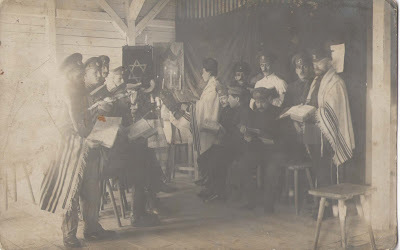 Most Lubavitcher families that made it out were either in Samarkand or Tashkent, and there, for 3-5 years, the cities thrived with activities; learning davenen, farbrengen, despite the terrible conditions there and despite the Communist regime, albeit not like in Russia and the other European Soviet Republics. 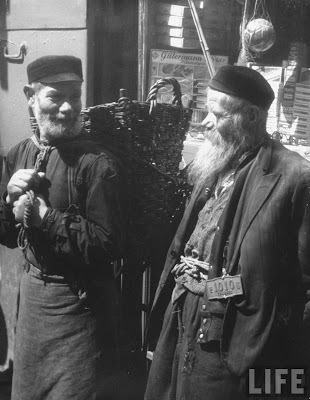 After 3-5 years in Bukhara most of the Lubavitcher families made it out in 1946 when they were able to escape with Polish passports, due to Stalin allowing all Polish citizens trapped in the CCCP to return home. The end result is that for the SURVIVING families there often was no Holocaust, not in every case, but in many cases. 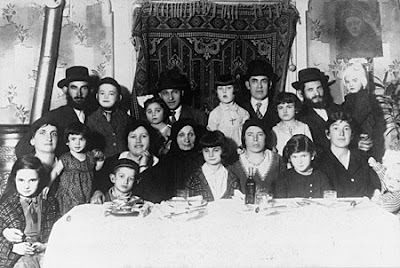 There WERE many great Chassidim, towns and families that were completely wiped out. Great ones like Reb Itche der Masmid, Reb Chatshe Feigin, Reb Berel Kurenitzer, Reb Yaineh Poltaver, some of whom died a horrible death and weren't zoyche l'kever yisroel, and some who died of starvation and managed to have a place where their descendants could come and daven. 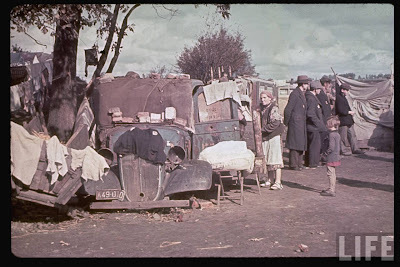 But at least as far as survivors are concerned it wasn't Poland and Ger or Aleksander or Radomsk. I also think that Russian are far lesser sentimentalists, at least they were. They had suffered enough under the Communists and were glad to get back to normal. Perpetuating the pain and suffering was not what they were looking to do. I'd venture to say that were it not for the Rebbe, nobody would have written their memoirs. It goes against the grain of what Chassidim were taught along; namely not to make too much of yourself or your deeds. 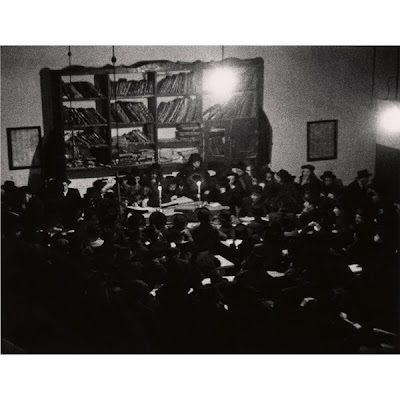 The Rebbe was the one that recognized the need to record and remember what happened, so that their descendants and all of us would never forget (and revise) that chapter in Jewish History. The attached pictures might be of interest. Tzig: You are correct as far as you go, but you are not going the distance.You seem to place all the responsibility on the parents. If the 2nd and 3rd generation were dependent on their parents and grandparents for instruction in Yiddishkayt (Jewish religion) ochen vay!! 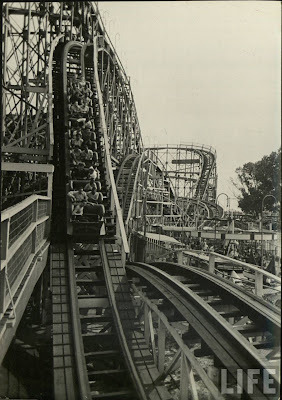 We would all be lost, and anyone growing up in the 1950s and early 1960's knows what I am speaking about. 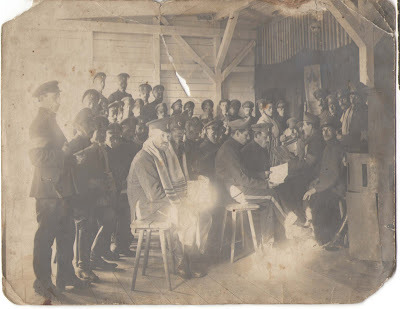 Except for a small group of Chassidim and perhaps a few Hungarian Jews all the Shearis Hapleita Jews, including those now walking about in bekishes and beards, were very shvach in Yiddishkayt and not just in minhogim. It was the Orthodox schools that saved the day. So what transmitted Yiddishkayt? our schools; the day schools, yeshivas, chadorim etc. There Jewish values and dinim were taught. That together with the Jewish culture in their homes created our new world of Orthodoxy. So Reb Tzig, why was the Holocaust not taught in day schools and chadorim of all stripes ? Why is it still not taught? Why in schools where the day starts before 9 Am and ceases after 6PM can 50 minutes weekly not be found to study the Holocaust. Why in summer camps can this not be studied. Are the menahelim scared that their camps will be turned into the type of camp where the grandparents of the kids spent their "good" years. The question stares us in our face, why are we ignoring the Holocaust? The secular Jewish community started coming to terms with the events in 1980 and earlier, we seem just to be starting, at least certain groups seem to be. Do our "Gedolim" have theological problems? 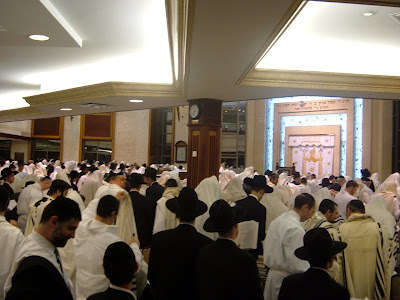 Are they worried about their emunah? Or could it be that most of our present day Gedolim and their parents were in America in 1939 and perhaps feel guilty about having done almost nothing to help their brothers in Europe.... About 10 years ago Rav Moshe Meiselman the grandson of Rav Moshe Soloveitchik wrote an excellent piece about the Holocaust in his journal called Oraisa, and among other things he stated that no generation of Jews ever responded to catastrophe with silence. Not the Churban Bayis Sheni, nor the events of 1492, or the events of 1648-1658 or other gezeiroth. Why the silence??? IN another area; go through years of issues of magazines like Jewish Action, the JO, KFAR CHABAD, Jewish Life (came out until 1973 by the OU) and you find very few articles about the Churban. Only Dos Yiddishe Vort edited by Reb Yosef Friedenson covered the Churban as it should have been. Amazing. 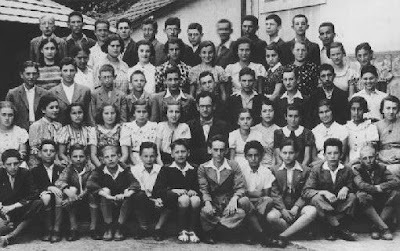 In the 1950's and 1960's the survivors were alive and magazines from the whole rainbow of Orthodoxy ignored the Holocaust. I include the Jewish Life, Tradition, Di Yiddishe Heim (I can hardly recall more than a few pieces here) and the JEWISH PRESS. What we did have were pieces by R. Hutner blaming the Zionists for the Holocaust. There was, and to a degree still is, a conspiracy of silence about the Holocaust in the Orthodox world. Thank G-D in many chugim it's changing. Somehow 1/IX/1939 never really "made it" to the Hungarian calendar. We start in '43 or '44. maybe a little earlier for the Munkatabor folks. ----- Imagine yourself going to shul in the afternoon after a day's work and being greeted by German tanks. Not exactly what you needed after maybe having it out with your boss, or being told that your work here is done and to look for another job... But it DID happen - on a nice late summer's day. Schneur complains about our lack of holocaust knowledge and study, but that could very easily be explained - no matter where your ancestors came from. It's all about - where you shtam from. If your zeides are/were Polish, chances are they suffered through 5+ years of hell - sorry, heck. Any person that made it out and built a family, and has grandkids, his grandkids will probably tell you that he was a nervous old man by the time they got to know him. He never sat with the grandkids and told them how he survived, he just tried to forget those terrible times. Only recently have many begun to pen their memories; and had that not happened much of that would've been forgotten. Find me a man of Polish descent who knows how his zeide survived those 5+ years and I'll bake him a potato kugel. Hungarian style. We need to talk about the Russians, but there's no time now. We'll do that after Shabbos, iy"h.